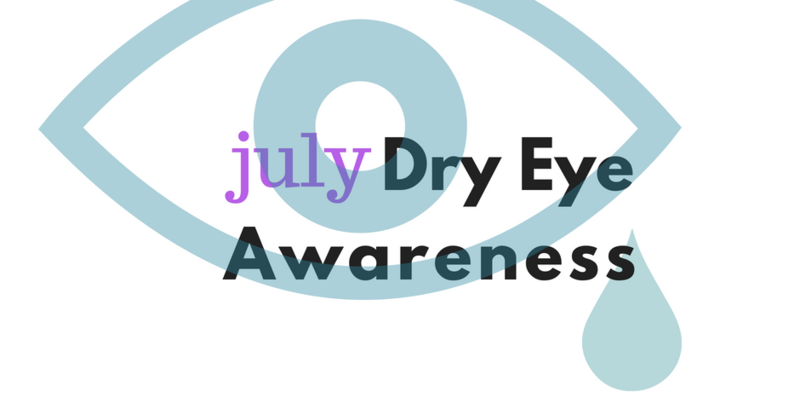 In recognition of Dry Eye Awareness month, we are publishing a few articles on dry eye. Dry is very common and affects over 25 million in the United States alone. Dry eye can occur in anyone and the chances of suffering from the symptoms of dry eye increase with age. Dry eye syndrome is a condition in which your own tears evaporate too quickly or you don’t produce enough tears to keep your eyes sufficiently moist. Many contact lens wearers experience dye eyes and it is a common condition in people over the age of 50. LASIK surgery can also cause dry eye syndrome. 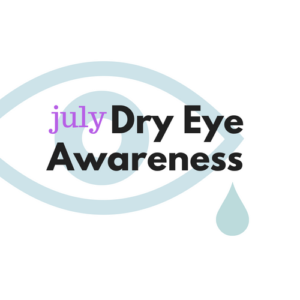 Dry eye syndrome can range from moderate to severe. Having dry eyes affects your ability to focus and makes reading, driving, computer work, and watching TV uncomfortable and difficult. When your eyes are dry they may feel itchy or burn, they may also look red. For most people with dry eyes, over-the-counter artificial tears will alleviate their symptoms and maintain the necessary moisture for healthy eyes. Warm compresses placed on your eyes can help to warm up the oil in the oil glands of your eyelids and make the oil flow to provide better eye lubrication. Make sure the compresses are comfortably warm and not too hot. If you experience dry eyes mainly when reading, using a computer, or watching TV, take eye breaks and close your eyes and blink several times. If your dry eye symptoms persist despite using artificial tears and other self-care therapy, visit your eye doctor for a complete evaluation of your condition. Your doctor will exam you to determine the quantity and quality of your tears and how quickly your tears evaporate. Your doctor can measure your tear production by using special paper strips inserted into the corners of your eyes. Another test is the fluorescein eye stain test in which a few drops of a yellow-orange temporary dye are placed into your eyes and then you are asked to blink several times to distribute the eye drops. After the dye is distributed over your eyes, your doctor will use a blue light to examine your eyes for any abrasions that may have been caused by your dry eye syndrome and to determine how long it takes for your tears to evaporate. Sometimes dry eyes are caused by medications. The treatment may be as simple as having your doctor change your medication. Dry eyes can also be caused by eyelid inflammation where your doctor might prescribe anti-inflammatory medications, either in pill form, or as eye drops. Another dry eye treatment is an eye insert that you place in your eye each day that dissolves and releases lubrication, but without the nuisance of drops. Dry eye syndrome can also be caused by blocked oil glands in the eyelids and procedures to unblock the glands can bring relief. "Meibomian gland dysfunction" is very common cause of dry eye. Essentially, the normal oily layer is of poor quality and causes rapid evaporation of the tears. If too much tear drainage is causing your dry eyes, then tiny plugs made of silicone or collagen can be inserted to block your tear drainage. Partially blocking the nasolacrimal duct (tear ducts) will slow the drainage of your tears and keep your eyes moist. The "punctal plugs" are reversible. 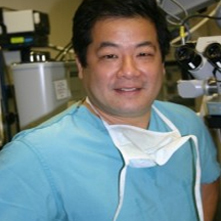 As a retina specialist, I provide retinal services within different ophthalmology practices in the northern Virginia area, including: Falls Church and Fairfax, Virginia. This unique arrangement allows are patients to receive more comprehensive care at the same location and avoid the anxiety of referring you outside to a new doctor, staff and location.